I had a gel polish job here with Rosie and she was so nice and her work was excellent! My gel polished nails are still lasting and it has been few weeks already since I was there. It was my third visit of the Ten Spot (I tried different places) and I was always satisfied. And so I can say that they follow the same process in every Ten spot salon (at least with manicure). Great experience booking multiple services with them. The team made sure everything ran smoothly, services provided were great (threading, mani & pedi) and I was in and out in the time projected. Excellent work and excellent service. But would definitely recommend booking, especially if you're looking for multiple services, rather than just walking in. Nice relaxing atmosphere, not as loud and frantic as other places. Rosie waxed my eye brows and lip. Usually my face would be red for two days but she took extra care and applied dermatologica to help sooth my skin which other businesses don't usually do and it was great introduction to the product for me. I would have never thought about picking it up at sephora or shoppers because there are so many products out there. Also I like that you can have beverages while being catered to and that they sell cool beauty products. Had two seperate services on different occasions and both times had been a pleasure. Staff are really friendly and the environment appears really clean. Would definitely go back again in the future. I had a great manicure today! Ruby was so careful to make sure that my nails were even. She did a really good job with the polish. Ruby was very gentle when I told her I have arthritis in my hands. You definitely pay a little more at the Ten Spot but it’s worth it to me. I always know the equipment has been properly sterilized. I’ll be back! Fantastic experience. Impeccable and spotless rooms......the best customer service....seriously these people know what they're doing. And SO friendly & professional. Very organized in presenting their services. Great experience!! I love The Ten Spot Danforth. 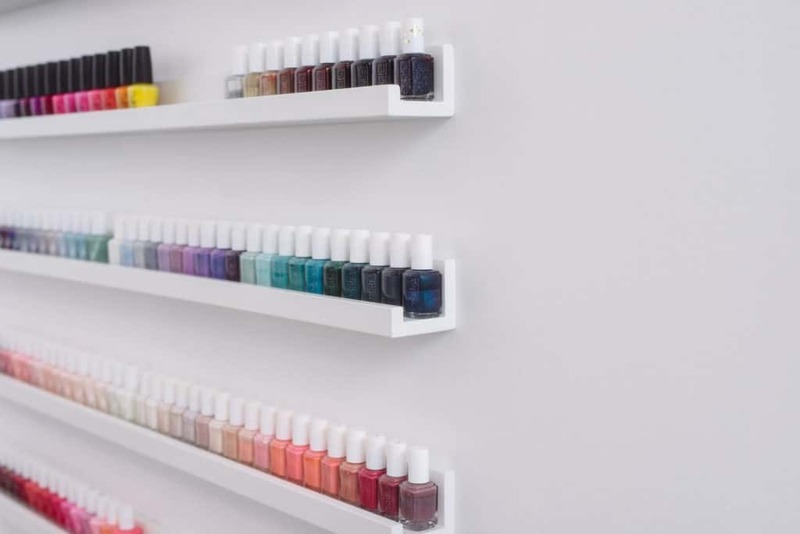 There are so many nail places in the neighbourhood but this one stands out. I am having a pedicure done by Cindy as I write. She is very skilled, kind, competent and professional. I have always had excellent service here. The atmosphere is always friendly and welcoming. Some salons are so noisy and you worry about hygiene. No need to worry about that here, the place is spotless and there seems to be very strict procedures in place re: cleaning. And the huge window lets in so much light. There is space and good distance between the various stations, it never feels crowded. I met a friend this morning by coincidence we were able to have a quiet conversation, we could have been in a nice cafe. The rooms at the back are lovely as well. I never want to go anywhere else. We are lucky to have this service in our neighbourhood. Great services and staff, clean environment, and I always love how I look when I leave. One star taken away cause the prices are quite high.